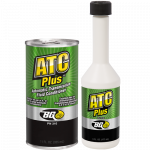 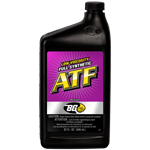 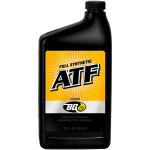 BG Full Synthetic ATF | BG Products, Inc.
An essential part of the BG Transmission Service, BG Full Synthetic ATF is a high quality transmission fluid for use in many passenger and commercial automatic transmissions. 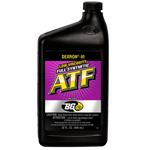 It meets the performance criteria of JASO 1-A and many other automatic transmission fluids. 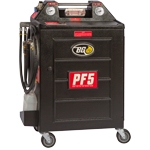 Installed by a professional technician, it provides outstanding protection for automatic transmissions. 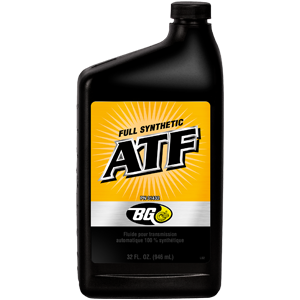 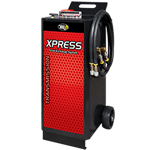 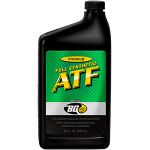 BG Full Synthetic ATF is NOT intended for use in continuously variable transmissions (CVTs) or in transmissions requiring Type F fluid. 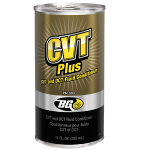 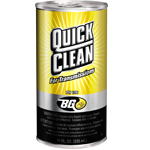 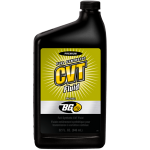 See BG Premium Full Synthetic CVT Fluid. 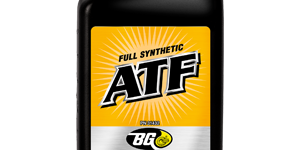 BG Full Synthetic ATF is part of the BG Transmission Service.